Its league games everywhere so why not a league for rummy games too. Junglee Rummy brings you the chance to be a rummy league player and win huge cash prizes by leading the leaderboard. 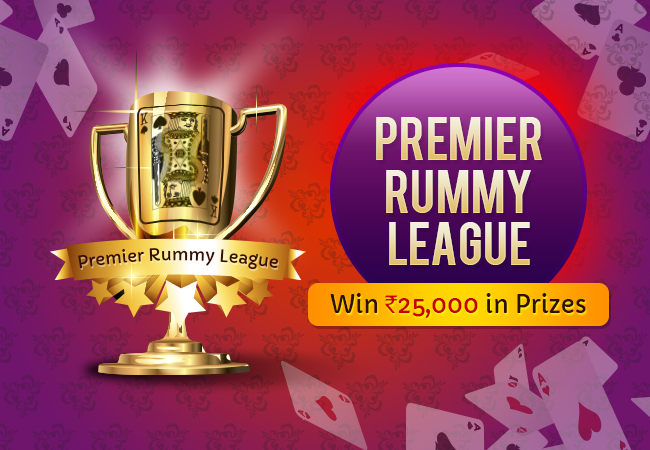 Join Premier Rummy League, top the leaderboard and win cash prizes up to Rs.25,000. The rummy league has started today, 25th Aug 00:01 hours and will end tomorrow, 26th Aug 23:59 hours. It’s your chance to show off your rummy skills against thousands of other worthy opponents. In order to take part in this exclusive Premier Rummy League, you should have a verified Junglee Rummy account. The verified account will have a valid e-mail id and contact number. So, before joining the rummy league, make sure your account is verified. We wish you all the best and hope you will be in the top 25 spots of the rummy league tournament. If you are looking for rummy bonuses, do check out our special category Rummy Bonus in the website. We also welcome you to write your feedbacks and suggestions in the comment section below. It makes us happy and inspire us to gather the news on promotions, bonuses and tournaments from all around the world.